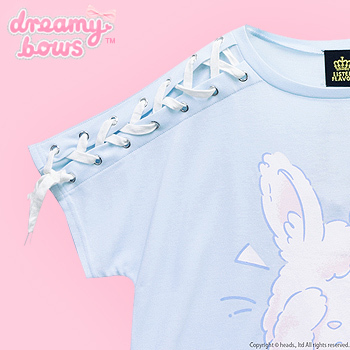 This versatile cutsew dress is bursting with cuteness and the lace up design makes it perfect for popular Harajuku styles such as Fairy Kei, Moehara and Mahou Kei. 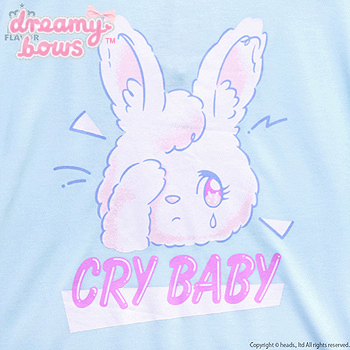 This cute and unique cutsew by Listen Flavor is full of adorable details. 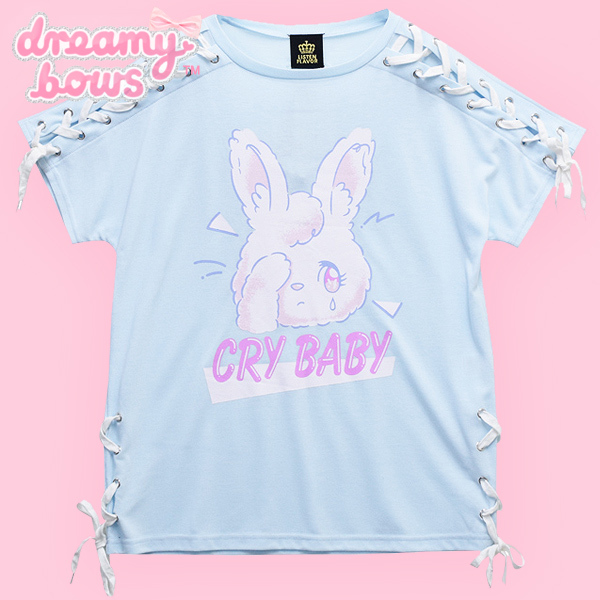 Featuring a sad crying bunny design, the slogan says "Cry Baby" in bubble font, the sleeves and sides of the cutsew also has splits with lace up details for a more impactive look. 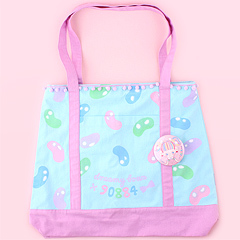 This versatile cutsew would be perfect for any kawaii wardrobe.